When Ric Addy said "Everything Must Go!" 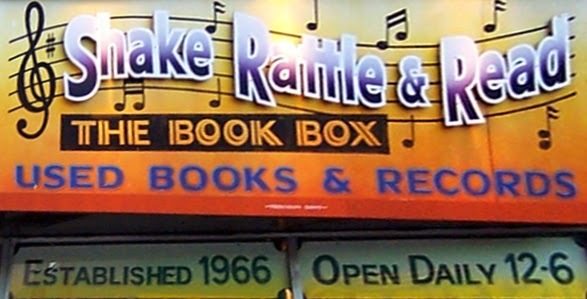 from Shake, Rattle & Read, he wasn't kidding. Not only were the store and its fixtures cleared out, so was the iconic yellow sign from the front of the building. An earlier version of the sign -- one most of us didn't ever see before -- remains. 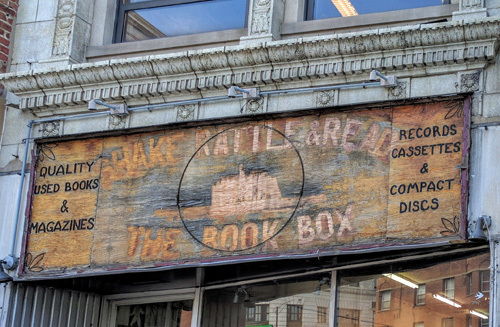 I've read that the B in "Box" fell off and for the longest time people thought it was The Book Ox.